New students will be assisted by Student Services advisors and staff in making career decisions, selecting courses and accessing appropriate support services. Currently enrolled students will then be assigned an academic advisor who will assist in future career and course selection decisions. Academic advisor contact information is located online at AccessOTC. All degree-seeking students should contact their assigned advisor, before registering each semester. For Advising resources and tutorials, visit otc.edu/advising. For more information, call (417) 447-6900. Developmental courses are courses that are numbered below 100. These courses provide instruction in basic math, reading, writing and study skills that are necessary for achieving almost all academic and career goals. Courses with the prefix TLC are offered through the Speckman Tutoring and Learning Center and include a variety of study skill courses. Developmental courses are not counted toward a certificate or degree program and are not a part of the grade point average (GPA) calculation. Students taking developmental classes should determine if there are any financial aid implications. Enrollment through the OTC Career Center is an excellent way for eligible high school juniors and seniors who reside in the OTC district (plus Bolivar, Fair Grove, Marion C. Early, Seymour and Sparta) to engage in career exploration, prepare for a community college or four-year university, and develop career and technical education skills needed in today’s global economy and workforce. Students attend one half day of classes, either mornings or afternoons, at their high school and then attend college-level career and technical education courses on the OTC main campus. Each year of enrollment, students have the opportunity to earn high school and college credits simultaneously; on average, students may earn up to 32 hours of college credit when enrolled in an OTC technical program for two years through the OTC Career Center. Tuition and transportation are provided by the student’s high school and the college textbooks are loaned to the student by the OTC Career Center. The office is located on the first floor of the Industry Transportation & Technology Center, Suite 109 on the OTC Springfield Campus. For more information, call (417) 447-8126. Middle College, located at OTC Springfield Campus, opened in 2008 to provide local students with an alternative, contemporary model of education. Middle College serves juniors and seniors in high school who seek a change from the traditional school experience. The program is focused on college and career readiness and designed to inspire student learning through a stimulating college environment, innovative teaching and internship experiences. All students select a career pathway from one of five areas: early childhood, diesel/automotive technology, medical services, computers and agriculture. The typical student can earn 20+ college credits by the time they graduate from high school. Students from Springfield Public Schools, Rogersville, Republic and Sparta may apply through their high school counselor. Students must be selected and approved by their home high school prior to admission. Middle College is a scholarship-based program. All tuition, fees and textbooks are free. An annual student enrollment fee of $60 is paid by the student. Additional information may be located on the web at otc.edu/middlecollege or by calling the office at (417) 447-6997. The Health Professions Academy opened in fall 2013 to help high achieving students interested in the healthcare field finish high school and start college early. The typical student can earn 30-40 college credits by the time they finish high school through this accelerated program. Eligible students must apply during their sophomore year and meet the following criteria: 3.00 GPA, good attendance and economic need. Students will participate in an interview selection process and family income will be required to determine eligibility. The Health Professions Academy is a scholarship-based program. All tuition, fees and textbooks are free. An annual student enrollment fee of $60 is paid by the student. The Health Professions Academy is operated under the educational umbrella of the Middle College high school program. Additional information may be located at otc.edu/middlecollege or by calling the office at (417) 447-6997. The OTC Dual Credit program provides an opportunity for eligible students to enroll in college-level courses and earn both college credit and high school credit simultaneously by taking OTC classes at their high school or online. The primary purpose is to provide introductory college experiences for high performing high school students within the college service region. For more information please visit the OTC Dual Credit webpage at https://academics.otc.edu/dualcredit/ or email dualcredit@otc.edu. High school, home school, and HiSET students may take OTC classes at any of our campuses, education centers, and online. Early Start students are not eligible for federal financial aid and are responsible for regular tuition rates. How college courses count toward high graduation, depends upon the high school district or organization. For more information, visit https://academics.otc.edu/earlystart/ or email admissions@otc.edu. FastTrack is a great opportunity for high schools who wish to provide their students with college courses and experiences, through a partnership with OTC. Through this program, the high school approves the courses, location, timeframes and student participants. OTC bills the high school district for regular tuition rates and often benefits from the use of OTC instructors and facilities. FastTrack is currently available at the Hollister, Laquey, Ozark and Waynesville school districts only. For more information, visit https://academics.otc.edu/fasttrack/ and then contact your participating high school and the partnering campus or center. OTC’s Adult Education and Literacy (AEL) program at provides specialized instruction to help students build or refresh the basic academic skills necessary for success in the workplace, developing English as a Second Language (ESL), success on the Certificate of High School Equivalence exam, or in preparation for post-secondary education. The free classes are available throughout Greene, Polk, Dallas, Lawrence, Christian, Stone, Taney, Webster and Wright counties in cooperation with local school districts and agencies. AEL is funded by OTC and Missouri Department of Elementary and Secondary Education. Call (417) 447-8860 for location and enrollment information. Improve your English and math skills at no cost through OTC’s Adult Education Transition program. Through this program, you have the chance to strengthen your academic skills by targeting courses specific to your needs. This no cost opportunity increases your chance of success and allows you to complete your certificate or degree with fewer developmental courses. Many students starting college may need to review skills they have forgotten. Others may have learning gaps in subjects they found difficult or missed in school. The Adult Education Transition program helps you be better prepared for success. One of the best things about the Adult Education Transition Program is that it is individualized. That means you will only study the things you need to learn. Students’ skills are reviewed after 50 hours of attendance. The Center for Workforce Development is an important economic development arm of OTC. The center is focused on supporting and increasing job skills for southwest Missouri’s workforce talent pipeline by delivering industry-specific and accelerated job training programs. These programs meet the service area’s business needs in order to maintain a stable economy. CWD staff work with local employers to design workforce training programs that meet specialized training needs. Program topics may include pre-employment training programs or customized, incumbent worker training programs. Types of workforce job training programs available range from updating or developing new technical skills, computer training, team-building, basic supervision skills, manufacturing, safety, robotics, green construction, alternative energy, Transport Training Institute with CDL licensing, engine mechanical and executive leadership development. Job skills training and professional certificate programs are available for careers such as Certified Nurse Assistant, Pharmacy Technician, Phlebotomy Technician, Child Development Associate, among many others. For more information and assistance, (417) 447-8901 or visit workforce.otc.edu. In today’s computer-based society, it is imperative that students develop computer skills. Therefore, OTC students are expected to use online technology to assist n the learning process. At a minimum, students are expected to login to the online learning platform (i.e. Blackboard) where course syllabus and faculty information are located. In addition, students may be expected to further utilize online technology as required by the instructor. The Honors Program at OTC allows qualified students the opportunity to engage in unique learning opportunities while developing close academic relationships with peers and instructors. The OTC Honors Program provides academically motivated and high-achieving students who conduct themselves in a responsible manner the opportunity to develop their full potential through collaboration with a designated community of scholars and enhanced/additional learning environments and opportunities. Encourage critical and creative thinking through curriculum that requires analysis, interpretation, synthesis and problem solving. Provide an enriched and innovative program of study to students who demonstrate a motivated and inquiring attitude toward education. Foster team building, collaboration and leadership through the skillful use of communication. Promote responsible and challenging actions for the common good as an active, engaged citizen. Build a network of academic and community resources. The Honors Program is a selective admissions program with limited enrollment per semester, please contact the Director of the Honors Program for more information concerning the application process, the coursework requirements, and the program completion requirements. Visit otc.edu/honors for more information. Freshman. A student who has completed fewer than thirty (30) credit hours of course work. Sophomore. A student who has completed thirty (30) or more credit hours of course work. Concurrent enrollment of a student at more than one educational institution may be appropriate and should not be discouraged, but the student should consider the demands of the total academic load. Will not count toward the requirements for a certificate or degree. May be counted toward the requirements for a certificate or degree. 100 level courses assume minimal background knowledge and/or skills. These courses introduce students to the vocabulary and methods of the discipline. Those offered by the Allied Health and Technical divisions would normally appear in the first year of the preferred course sequence. Those offered by the General Education division would traditionally be freshman level courses for students majoring or minoring in this discipline at a four-year institution. 200 and above level courses assume both background knowledge and/or skills. These courses expect students to apply and synthesize background knowledge and/or skills. Those offered by the Allied Health and Technical divisions would normally appear in the second year of the preferred course sequence. Those offered by the General Education division would traditionally be sophomore level courses for students majoring or minoring in this discipline at a four-year institution. Courses that require regularly scheduled on-campus class attendance for the entire semester. Courses in which students access all course materials, participate in course activities and interact with other students and the instructor over the internet. Each online course requires at least one proctored event. Some specifically determined courses may require more than one proctored event. Courses in which a portion of the curriculum is conducted online and a portion requires on-campus attendance. Face-to-face meeting times will be clearly stated in the semester schedules. C 2 The student has adequately met the objectives established for the course. D 1 The student has minimally met the objectives established for the course. F 0 The student failed to meet the objectives established for the course. AU 0 The student enrolled in and completed the course as an “auditor.” Requirements for successful completion as an auditor are arranged with the course instructor. Does not count as credit for the course. G 0 Academic Fresh Start. Used in conjunction with the original letter grade earned by the student. Course no longer counts toward a certificate or degree. Not counted for academic honors. N 0 Used in conjunction with letter grades of A,B,C,D for classes which are traditionally below college level (less than 100 level). These courses are not included in consideration for honors. NP 0 Not Passing. Given for courses (less than 100 level), as well as selected courses which have been approved by the Vice Chancellor for Academic Affairs, to be offered on a Passing/Not-Passing system. P 0 Passing. Awarded upon successful completion of Continuing Education course. May also be used for selected credit courses with the approval of the Vice Chancellor for Academic Affairs. S 0 Credit by Exam. The student received credit for the course through proficiency examination. This symbol counts as hours earned but not as hours attempted. Not more than 24 credit hours may be earned through “Credit by Exam” unless otherwise approved by the Vice Chancellor for Academic Affairs. W 0 Withdrew. The student withdrew prior to the deadline to withdraw. This symbol does not count as hours attempted or as hours earned. R Repeat Code The student has repeated the course work. Students may not exceed these maximums unless they have received permission for an overload from an academic advisor. The student must complete a time management plan and is expected to have carried a minimum of 12 credit hours of college level courses during the previous semester and maintained a GPA of at least 3.0. Full-Time: A student enrolled for twelve or more credit hours. Part-Time: A student enrolled for fewer than twelve credit hours. Certain vocational and technical course work earned more than six (6) years prior to the awarding of a degree or certificate may be counted only with the approval of the Vice Chancellor for Academic Affairs. It is the policy of the college that credit for specified courses may be awarded by examination. A student who can demonstrate the required competencies, by means of an established assessment, may receive credit for a course. Please see the Student Handbook for procedures to complete this process. A student who has a cumulative GPA (OTC only, no transfer coursework) of at least 2.00 is considered to be in good standing. Any student seeking a degree or certificate with an OTC cumulative GPA below 2.00 will be placed on Academic Probation. The Academic Probation and Suspension policy applies only to students enrolled in credit programs. Upon receipt of final grades for a semester, the Registrar’s office will calculate a student’s OTC cumulative GPA. The student will not be able to register without first obtaining advisor permission. The student will be not be allowed to go into overload status while on academic probation. A student will be notified he or she has been placed on Academic Probation and given details about the restrictions imposed by Academic Probation status, via an email generated by OTC Student Services. Notification will also be provided to a student on Academic Probation in the student portal. Credit Courses. Courses with earned grades may be repeated to allow a student to improve his/her grade point average. Once a class is repeated, the new grade replaces the previous grade in the grade point average. If a student elects to repeat a course, the grade earned from the final attempt of the course is the final grade, even if that grade is lower than the previous attempt. All previous attempts will be shown on the transcript as a repeated course and will not be included in the semester or cumulative grade point average calculations. Center for Workforce Development. Students may enroll in community enrichment courses as many times as necessary to accomplish their individual goals, provided they continue to show progress, do not prohibit others from participating, and are willing to pay fees. The college has established an equitable and orderly process to resolve academic dissatisfaction. This may include final grades, instructional procedures, attendance, instructional quality and situations related to academic issues. For a detailed procedure, please see the 2017-2018 Student Handbook . 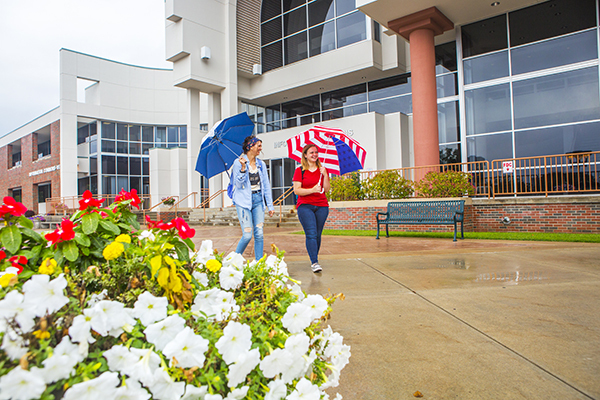 Students returning to OTC after an absence of three years or longer, with a cumulative OTC GPA of less than 2.0, may apply for Academic Fresh Start in order to recover from a deficient GPA. Academic Fresh Start will be limited to those cases in which the student’s prior record does not reflect his/her current maturity with respect to motivation, attitude and ability. For a detailed procedure, please see the 2017-2018 Student Handbook . An Academic Hardship Withdrawal may be granted to students who experience non-academic emergencies which interfere or prevent the completion of coursework and cannot be resolved through traditional withdrawal methods. Typically, hardships (non-academic emergencies) tend to fall into one of three categories: medical, personal and financial. Hardship withdrawals are not granted unless there is a compelling reason for such requests. The Academic Hardship Withdrawal process is not the appropriate venue to resolve or petition instructional or financial matters (e.g., grades, refunds). Such concerns must be addressed to the respective department. In addition, the Hardship Withdrawal process is not an alternative means to drop classes after the published drop date to remove unwanted grades or preclude resulting academic/financial aid actions (warning, probation, exclusion, etc.). For a detailed procedure, please see the 2017-2018 Student Handbook . It is the policy of the college that all courses will include a comprehensive end-of-term assessment. Each course will have a consistent assessment to be given during the pre-determined final testing period for each section of the course regardless of location or delivery method. This assessment will be of a comprehensive nature to measure the students general understanding of the topics covered throughout the course. Each assessment will be delivered in a manner to most effectively utilize the allotted time period provided. Any deviation from these procedures must be approved by the Vice Chancellor for Academic Affairs, prior to the scheduled assessment period. Please see the OTC website for the current final examination schedule. Complete all degree or certificate requirements for his or her chosen field of study. Have a minimum cumulative 2.00 GPA after his or her final semester. Select programs may require a higher cumulative GPA. Take 15 of the final 30 semester credit hours in residence at OTC. Certificate programs will require the number of credit hours in residence proportional to the associate degree. Complete all steps in the application for graduation process. Please complete all processes for graduation as described in the 2017-2018 Student Handbook . Eligible students earning a GPA of 3.85 or above will be placed on the Chancellor’s List for the term. Eligible students earning a GPA of 3.50 to 3.84 inclusive will be placed on the Dean’s List for the term. The cumulative GPA at the end of the semester will be utilized by the Registrar to rank the candidates for associate degrees and certificates for academic honors. Final honors will be posted to the transcript and diploma using the final cumulative GPA. OTC holds commencement exercises once a year following the spring term. Students completing program requirements in the spring, summer and fall semesters are invited to participate in the ceremony. Students should apply for graduation whether or not they plan to attend the graduation ceremony. Once you’ve applied for graduation, your coursework will be verified and your diploma mailed to you within six to eight weeks of the end of the term you finish. Your diploma will be sent to the mailing address on file for you in Student Services, provided that your record is clear of all holds.